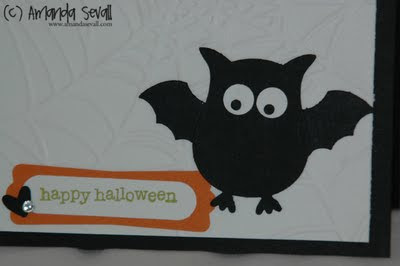 Amanda Sevall Designs: Card: Batty Happy Halloween! 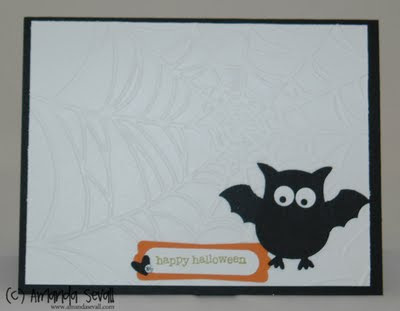 I'll be back tomorrow to show you how to make your own bats and ghosts out of the owl punch! This guy makes me smile! It is such a simple card but has such a big impact!! Also...I have given you an award. I love your work and want to share it with other. Check it out on my blog - Joyful Creations with Kim. Very cool! The embossed spider web is very spooky too. Perfect.